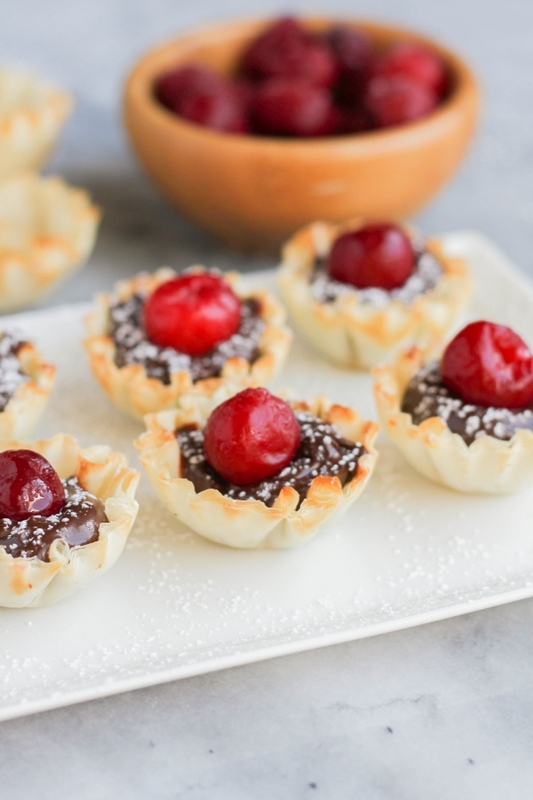 These three ingredient Mini Chocolate Cherry Tarts are the perfect sweet treat for any holiday gathering or party! The holidays are quickly approaching, whether we are ready for them or not! I cannot believe that today is November 1st...I mean, where did the year go? It seems like we just celebrated the new year, then summer was here, and now it's the holiday season once again. I swear the older I get, the faster time goes! I tell my kids this all the time but they have yet to believe me. Once they get my age they will completely understand! Anyway, I'm already starting to think about Thanksgiving, Christmas, and all of the holiday parties and get together's we will be having. I'm starting to get ideas for my menus and jotting things in my journal as I think of them. 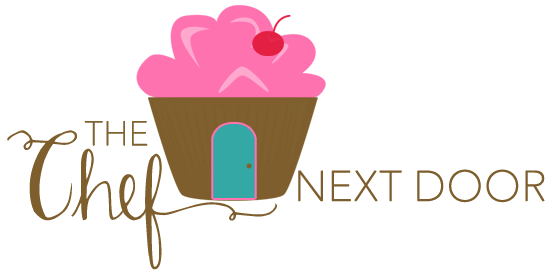 Being a baker at heart, you know my mind is instantly pulled towards desserts and sweet treats. I always need to make sure they are over the top! 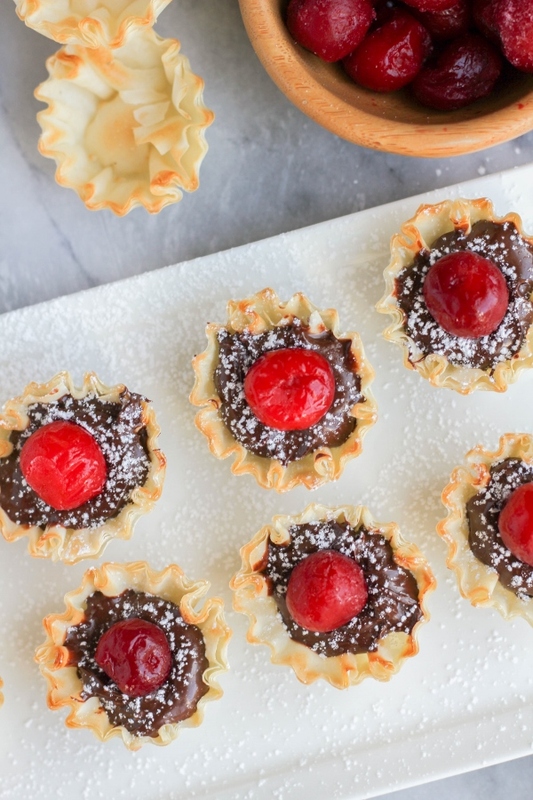 These Mini Chocolate Cherry Tarts have quickly become one of my favorite desserts. First off, have you tried Peanut Butter & Co.'s new Chocmeister spread yet? It's a chocolatey hazelnut spread that is absolutely AHmazing. They have two varieties - dark chocolate and milk chocolate - and I've been spreading it on toast, fruit, and waffles like it's nobody's business. 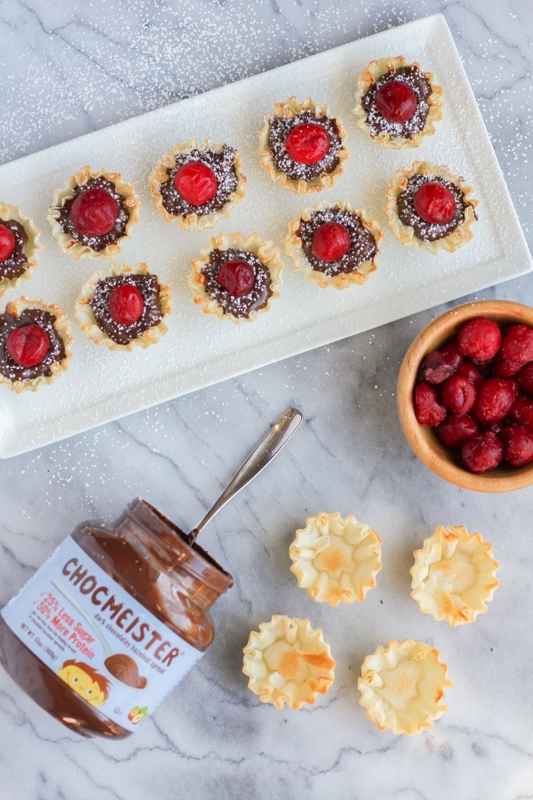 You only need three ingredients to make these Mini Chocolate Cherry Tarts, and the Chocmeister Dark Chocolatey Hazelnut Spread is one of them. 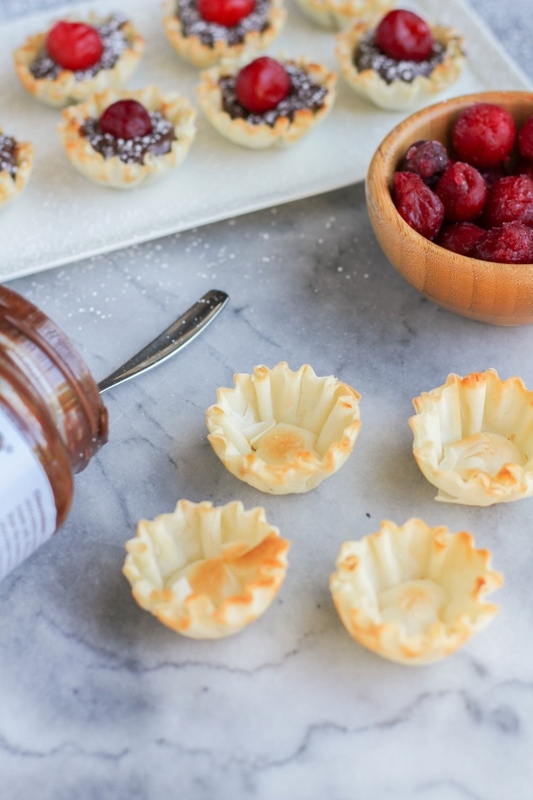 Cute mini phyllo shells are filled with the spread then topped with a fresh cherry. Add a little dusting of powdered sugar and you've got one simple, delicious, and impressive dessert. Your family and friends will be wowed and no one has to know how simple these are to make! Bake the mini phyllo shells according to the directions on the package. Allow to cool completely. Fill each of the cooled shells with about a teaspoon of the chocolate hazelnut spread, then top each with a cherry. Sprinkle the tarts with powdered sugar and serve immediately.